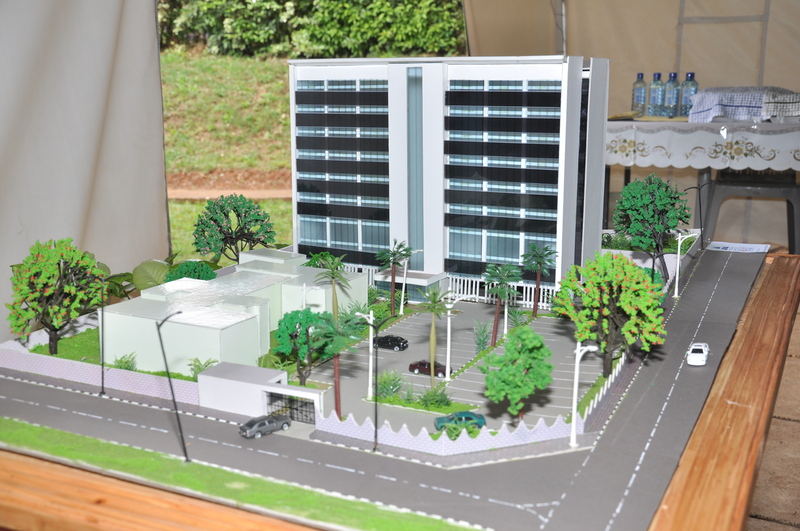 AEA held a ground breaking ceremony today, attended by Christian leaders, partner organisations and building professionals for the commencement of construction of the first phase of the AEA centre that will comprise of state of the art offices that will have an end value of US 5 million dollars. Mugo Wa Karanja, one of the AEA Trustees said, “as we kick off the AEA “Buy a Brick campaign”, where we are asking every Christian to contribute just 1 dollar to help AEA realize the goal of developing both phases of the building process, we should be proud that we have opted for this approach of encompassing every single African, regardless of their financial status to have an opportunity to contribute to the AEA building.” Rev. 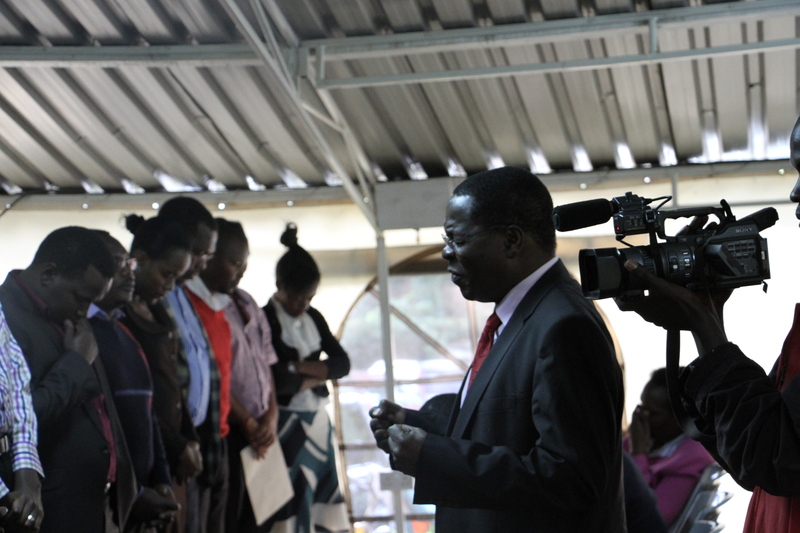 Mark Kariuki, the Evangelical Alliance of Kenya (EAK), President and Founder of Deliverance Church in Kenya kicked off the campaign by making a personal contribution of USD 1,000. 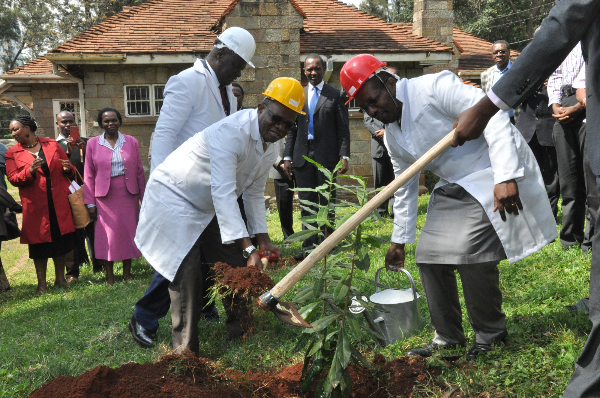 He said, “I have led the way with this contribution now the onus is on Christians around the globe and especially in Kenya to follow suit and contribute just one dollar.” He noted that by contributing just a dollar towards the Buy a Brick Campaign we cement our legacies as the new building spring up. Bishop David Oginde, Vice Chair of EAK and presiding bishop of CITAM, Bishop Kepha Omae, presiding Bishop of Redeemed Gospel Church and Arch Bishop Arthur Kitonga, AEA Regional President and Founder of Redeemed Gospel Church, all laid hands and prayed for all those who will be involved in the building process. Together with the Rev. 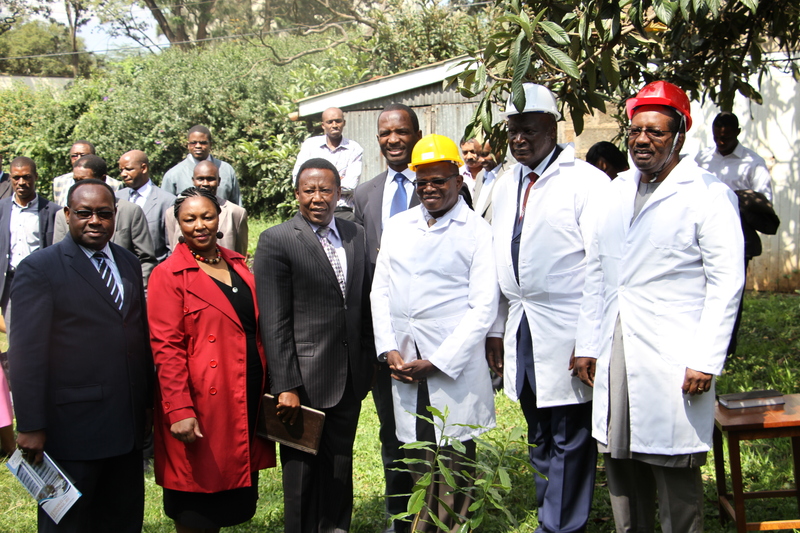 Aiah and the AEA trustee, Mugo Wa Karanja, he planted a tree to commemorate the ceremony. *More galleries will be uploaded on the AEA website.